Guilderland – Ermina “Willy” Liotta, 99 ½, passed away peacefully on Wednesday October 10, 2018 at Kingsway Arms Nursing Center. She was born in New York City and was the daughter of the late Frederick and Anna Williams. Ermina was predeceased by her beloved husband John J. Liotta, her daughter Janis Donofrio and her sons in law, Jack Nowak and David Donofrio. She had worked for many years as an office clerk at the Westmere School in Guilderland. 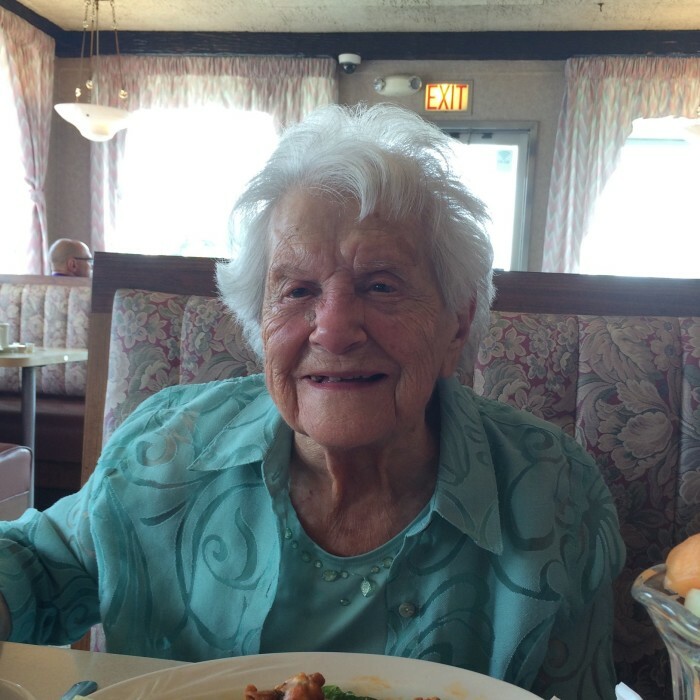 Ermina will always be remembered for her loving, kind and caring disposition. She possessed a playful spirit that brought great joy to her family and friends. As a young woman, Ermina worked as nurse at Brady Hospital caring for orphaned infants. An advocate for the disabled, she was a compassionate and giving soul that always had time and energy for those in need. A special lady, Ermina is truly an angel from above. Ermina is survived by her devoted daughters, Anne Nowak and Beth Liotta-Tyler (Rhett). She is also survived by eight cherished grandchildren and 12 great grandchildren.